The Apple fun just doesn’t stop, kids. A new keyboard is out sans num-pad. 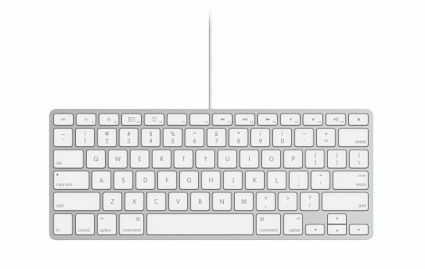 The wired keyboard has one USB port on each side for a total of two and retails for $49. When purchasing a new iMac you have the option of either this one or the wired num-pad version. The wireless keyboard sans num-pad option costs an extra $30.